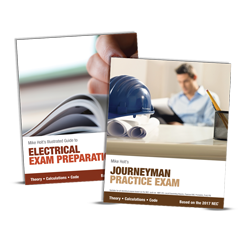 Mike Holt Enterprises offers a wide variety of materials to choose from to help you prepare for your journeyman electrical exam. Whether you just graduated from an apprenticeship program, or have never been through a formal training program we have a training system that can help you fill in the gaps in your knowledge and give you the information and the confidence to pass your exam. The Comprehensive Library is a complete course designed for your success. The program provides in-depth instruction for Theory and Code along with step-by-step instructions on how to solve electrical calculations. 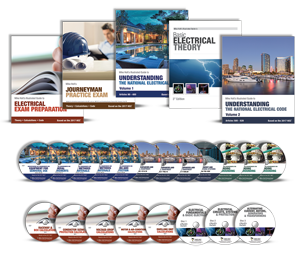 The instructional DVDs extend the learning with real-life practical examples, while the practice questions help you test your knowledge. 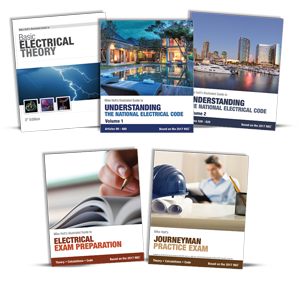 When you know the Code and Theory, but need additional help in learning your Electrical Calculations, this program is for you. 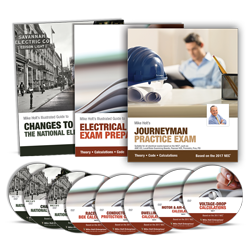 You will work through step by step instructions while learning all of the Electrical Calculations that you need for your exam. You will also receive Mike's Changes to the NEC textbook and DVDs to update your NEC knowledge. 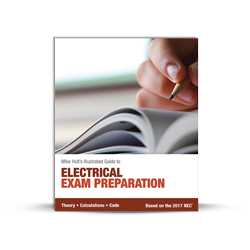 Test your knowledge in Theory, Code and Calculations with this Practice Exam and identify areas where you need additional study before you go to take your official Electrical Exam. Don't want to wait for the mail? 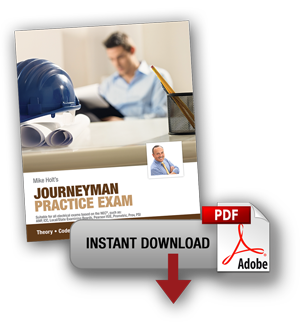 You can instantly download and print the PDF and practice right away with the kinds of questions you will find on your exam. 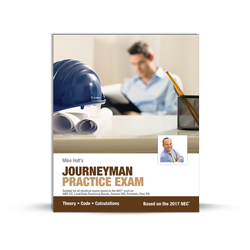 Test your knowledge in Theory, Code and Calculations with this Practice exam. This will help you identify areas where you need additional study before you go take your official Electrical Exam. Need help choosing material for your upcoming exam? Click here for an individualized evaluation and we will call you back with a personalized solution.